Backwater was established in 1983 and originally manufactured oars and paddles for the marine industry, hence the name. In time, metal and wood fabrication of furniture and store fixtures prevailed, but the name stuck. Being aware of our customer’s needs has always been top priority and our customers have come to us to solve problems and find solutions for all their needs. With a full range of equipment, we are able to satisfy most requests in aluminum, stainless steel and mild steel for sheet goods thru to tubular and solid metals as well as welding, bending, polishing, drilling and cutting. Our versatility enables us to take on all types of custom work, from very small one off jobs; up to larger scale production runs, as well as repair work. 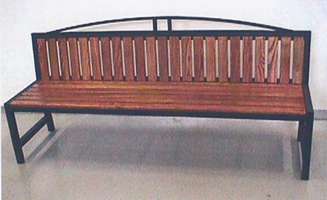 Over the years our products have ranged from oars & paddles, tables, chairs, railings, store fixtures and wheelchairs & bookcases for a variety of clients from designers, architects, universities, department stores, casinos, spas, hospitals, health care facilities, labs to smaller shops and individuals.